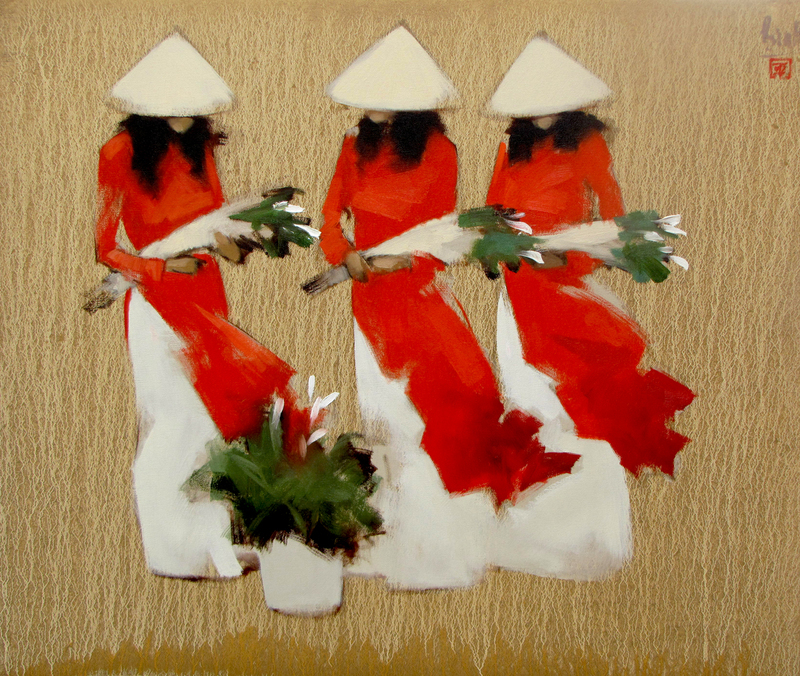 Renowned Vietnamese artist Nguyen Thanh Binh’s minimalist figurative paintings can represent contemporary Asian art well. 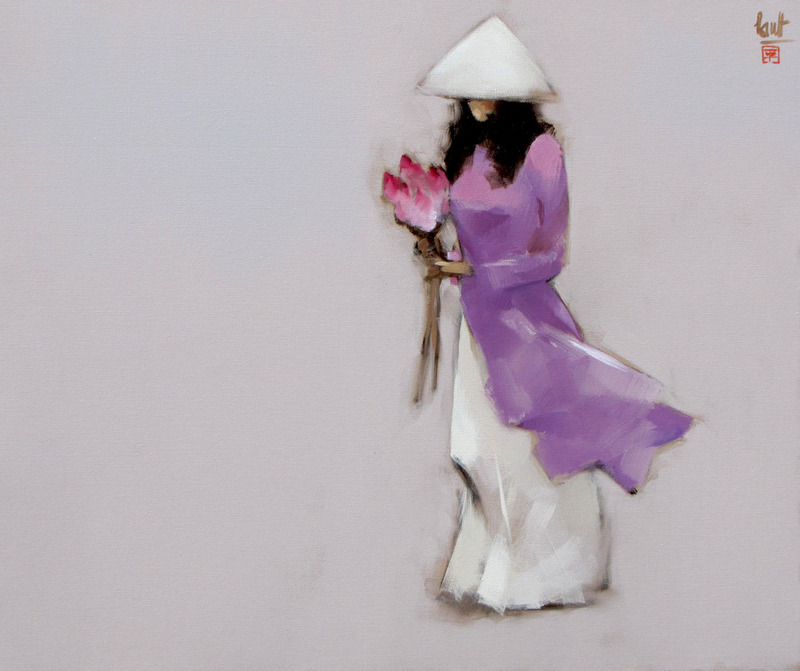 He deftly blends the essence of oriental artistic traditions with western art. 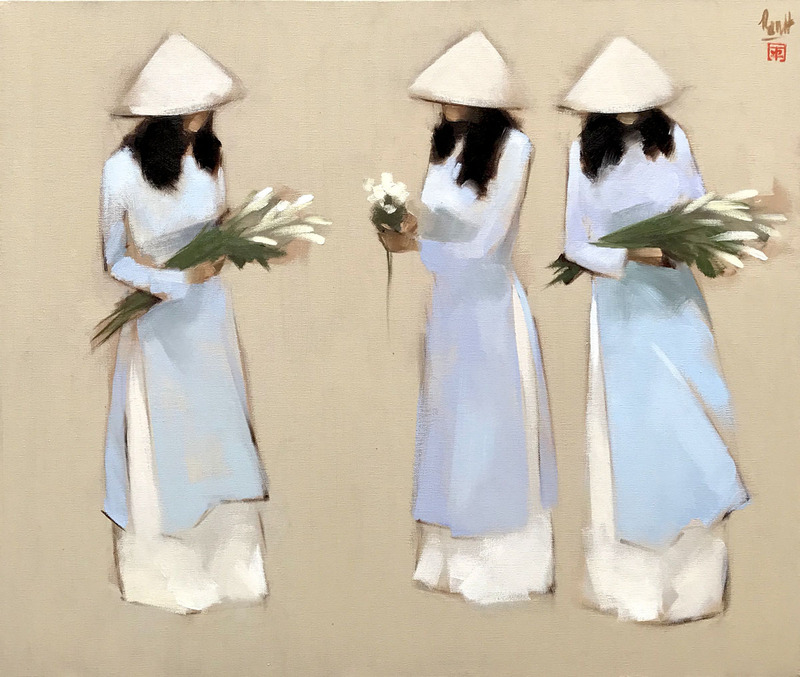 This composition of a schoolgirl in Ao Dai holding a bunch of lotus flowers is lyrical in its composition. The fluidity of form, the pastel shades all add up to create a “Haiku” in colors.